The Brendan Iribe Center for Computer Science and Innovation will expand research in virtual and augmented reality, computer vision, and immersive science. 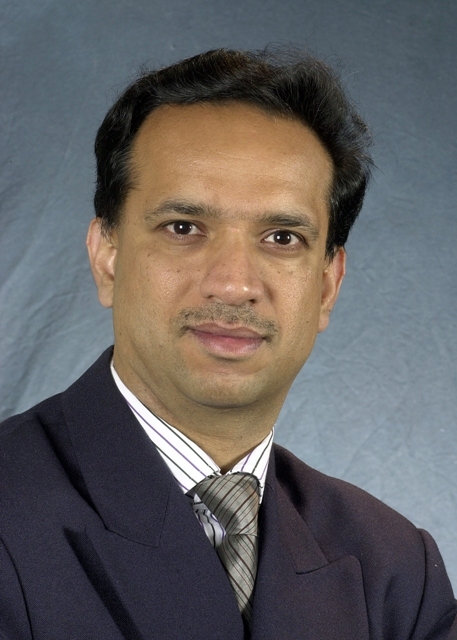 Dinesh Manocha joined the University of Maryland’s Department of Computer Science in May 2018 as the inaugural Paul Chrisman Iribe Endowed E-Nnovate Professor. He also holds joint appointments in the University of Maryland Institute for Advanced Computer Studies (UMIACS) and the Department of Electrical and Computer Engineering. In 2015, Elizabeth Iribe established the endowed professorship to honor her brother, Paul Chrisman Iribe. Elizabeth’s donation received an equal match from the state’s Maryland E-Nnovation Initiative Fund (MEIF), which aims to spur private donations to universities for applied research in scientific and technical fields by matching such donations. “With my gift, I wanted to help the University of Maryland become a leader in virtual reality, an emerging field that has become a big part of my life through my son, Brendan,” Elizabeth Iribe said. Brendan Iribe, a UMD alumnus, co-founded the virtual reality company Oculus. Manocha is a fellow of the Association for Computing Machinery (ACM), IEEE, the American Association for the Advancement of Science and the Association for the Advancement of Artificial Intelligence. He has received a National Science Foundation Faculty Early Career Development (CAREER) Award, an Office of Naval Research Young Investigator Award, a Sloan Research Fellowship and an IBM Fellowship. In addition to having served as a member of the ACM SIGGRAPH executive committee, Manocha has been a program or general chair of more than 20 leading conferences in computer graphics, robotics, virtual reality and geometric computing. The Elizabeth Stevinson Iribe Endowed E-Nnovate Chair, held by Department of Computer Science Chair Ming Lin since January 2018, which was funded by Elizabeth Iribe and funds from the state. The Reginald Allan Hahne Endowed E-Nnovate Professor in virtual reality, held by Matthias Zwicker since March 2017, which was funded by Elizabeth Iribe and an equal match from the state. It was named for her son Brendan Iribe’s high school computer science teacher. Two Capital One Endowed E-Nnovate Professors in machine learning, funded by Capital One and an equal match from the state. As the Department of Computer Science searches for candidates to fill the Capital One Professorships, construction continues on the Brendan Iribe Center for Computer Science and Innovation. A cutting-edge research, education and entrepreneurship facility for computer science at UMD, the facility is expected to open in late 2018. The new building became a reality thanks to a $31 million gift from Brendan Iribe.